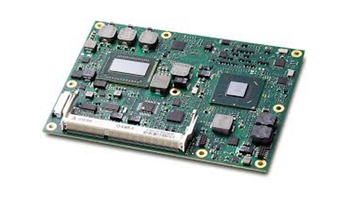 COM Express is the PICMG industry standard for Computer-on-Module. It brings the benefits of standardization to the Computer on Module methodology, thus accelerating time-to-market and reducing development costs. Embedded developers are enabled to keep pace with advances in processor architecture and serial interface technology. Standardized height and heat spreaders further facilitate interchangeability between modules from different manufacturers. COM Express board-to-board connectors provide pins for PCI Express, Serial ATA, LVDS LCD channel, LPC bus, system and power management, VGA and TV-out, LAN, and power and ground interfaces. COM Express also incorporates optional PCI and IDE interfaces. The COM Express standard applies in some of today's most dynamic segments: retail and advertising, medical, test and measurement, gaming, entertainment and hospitality, industrial automation.